This is a forum based out of Pensacola Florida. 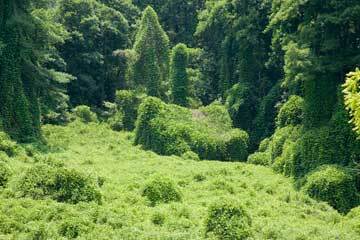 Driving home one day, as I was approaching the 3 mile bridge, looked on the right, I saw kudzu growing along the road, near the water. I thought project greenshores already got rid of them. I wonder if I can come in a snip a vine? Any idea? Kudzu may grab you by wrapping their vines around your ankles and dragging you into the bay to feed their buddies......who made that list about which plant is good, and which plant is bad........? 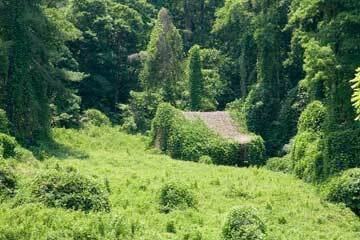 If you plant Kudzu you won't be able to get out of your house to buy liquor.